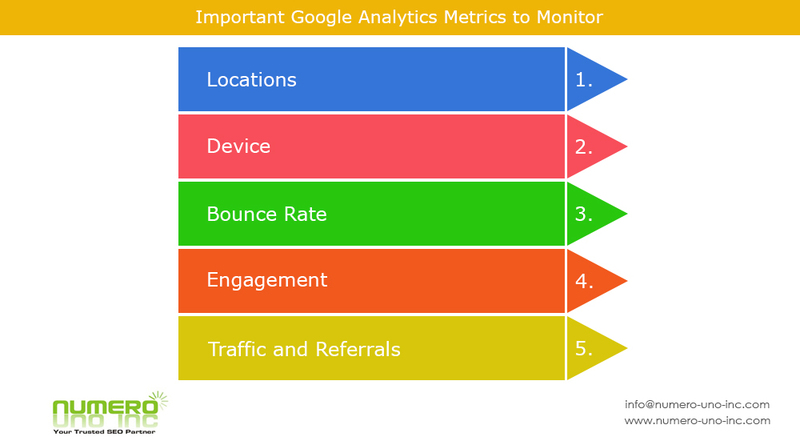 Learn how to use Google Analytics Effectively in order to monitor the performance of your website through crucial metrics provided by Google Analytics. In previous article we saw how to track your website with the help of Google Analytics, today we will explore the important metrics provided by Google Analytics which help us in detail to understand how users interact with your website. Google analytics is the most widely used analytics tool primarily because it is free & from Google. It keeps track of the things happing on your website. 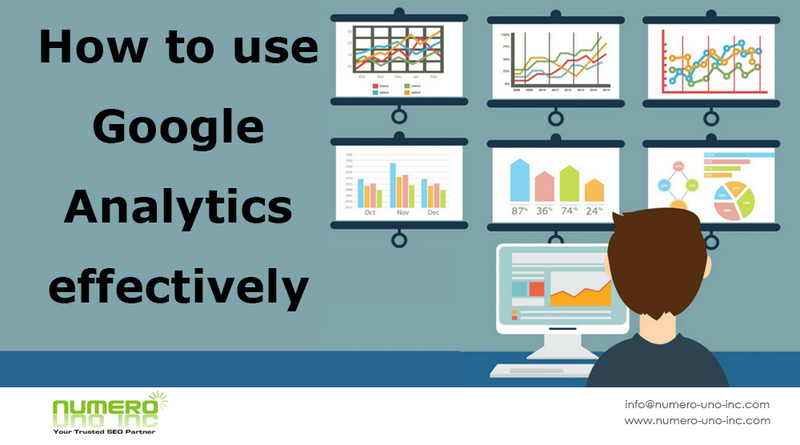 How to use Google Analytics Effectively? We can use Google Analytics to better our website & increase the customers engagement with us & thereby increasing lead generation & customer acquisition from it. We shall try to cover the first two i.e Devices & locations in this article. 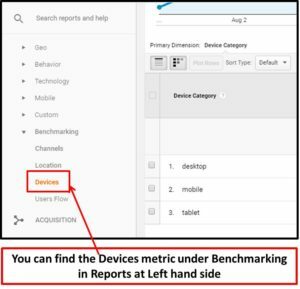 One of the most important reports that Google Analytics tracks is the device. Google distributes devices into 3 broad categories i.e. Mobiles, Computers & Tablets. All devices under 7 inch are considered mobiles, & all computers & laptops are bundled under computers category. Any thing in between is considered tablets. This is very useful as you can come to know the type of devices your visitors are using & then accordingly we can engage them more. Let me illustrate the point with an example- one of my client had more than 70% (72.9% to be precised) users as mobile users. On discussion within our team & analysis on how we can entice the mobile visitors to fill the enquiry form for more details. We added an floating enquiry form on right side of the panel. Results have been much beyond our expectations. The number of leads increased 45%. This is again very important metrics of Google Analytics. It helps the site owner know from where the visitors are coming to his site. This can be as general as continent & sub-continent to more specific like country & city. It not only helps us understand our visitors geography but allows us to make amends to engage them further more effectively. I will illustrate with an example, we were targeting Gulf region for one of our clients & had accordingly made the pages. After few weeks we check this Analytics metrics & found that more than 90% visitors were from Dubai City only. This was a big insight for us. We customized our website experience to be more Dubai centric. We even had a separate mail id like dubai@….com, and a local Dubai phone number & it worked wonderfully. Dubai visitors liked it & again our conversion for the Gulf Campaign increased by more than 50%. Let’s take another example, for another client we had 2nd highest visitors from France& 3rd highest from Germany. On brainstorming we decided to have French & German language options on our site. Again we had specific mail ids for German /French language & also separate helpline numbers. It again worked beautifully for our clients. The conversion increased by 48 & 43 respectively for French & German visitors. 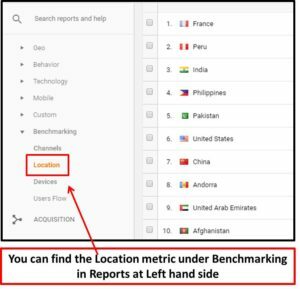 Hope the above article has helped you to understand Google Analytics Metrics especially Devices & Locations. Please browse further for more articles on SEO, Adwords, Social Media & other Digital Marketing avenues. Please contact us at info@numero-uno-inc.com for your site & competitor audit, devising a digital strategy & consulting on the same. This entry was posted in Google Analytics, On Page SEO, SEO and tagged google analytics, google analytics metrics. Bookmark the permalink.